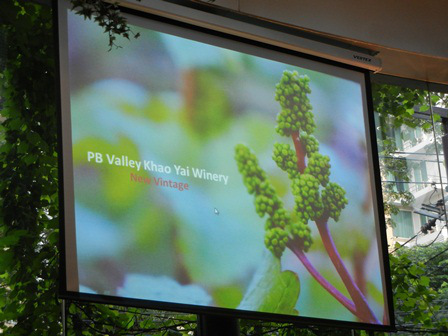 Friday last week I was invited to the presentation of the new vintage of PB Valley Khao Yai Winery and the tasting of the newly released wines. 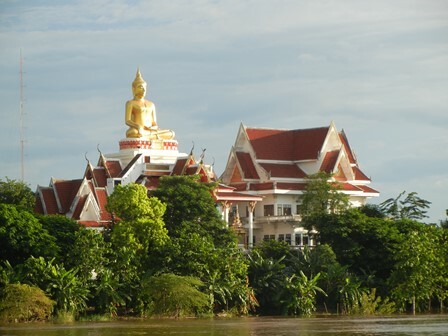 The event was conducted at the Great Hornbill Bistro which is PB Valley cellar door in Bangkok, one could say. The place filled up quickly. I met old and new friends from the Thai wine industry, gastronomy, and journalism. There were also some wine bloggers like myself. Khun Prayut started the event with a brief overview of PB Valley, it’s grape production and wine making. Lots of things have happened since the start in 1992, the first vintage in 1998 and the international recognition of PB Valleys contribution to the wine industry in South East Asia. 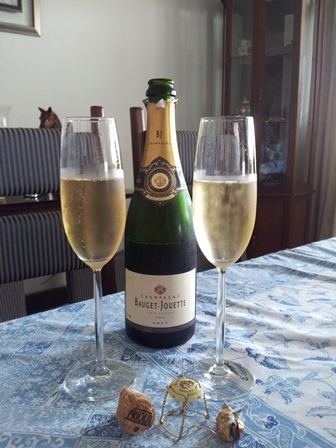 In 2011 PB Valley was awarded the Asia Wine Pioneer Award in Singapore. 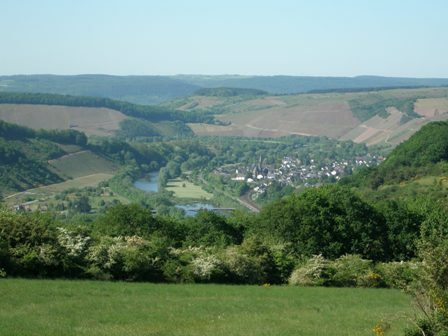 With a total area of 320 ha of which almost 50 ha are under grapes, PB Valley is not a small enterprise. About 10 ha are for table grapes, the rest is planted with wine grapes such as Shiraz, Tempranillo, Chenin Blanc, Colombard, Dornfelder, Cabernet Sauvignon, Pinot Noir, Merlot, Durif and Petit Verdot. The flagship wines are Chenin Blanc, Shiraz and Tempranillo. Total production is about 65% red and 35% white, but demand is more on the red side, 80 to 20. Some of the residual white wine juice is distilled. To the “grappa” or “schnaps” some lichee juice is added which makes a beautiful “digestivo” called Licci Schnaps. The capacity of the winery is about 450,000 liters. Total production comes to 100,000 to 150,000 bottles per year. The newest vintage is, with the exception of PIROM Supremacy Shiraz Cabernet Sauvignon, all under screw caps! After that the wine tasting proper was about to start. 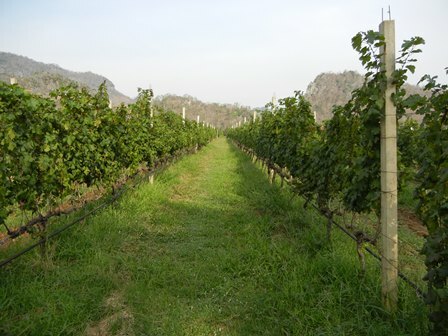 Khun Joolpeera Saitrakul, wine-maker at PB Valley, introduced the three whites, one rose, and four red wines. He explained all the individual wines, how they were made and what their qualities were. I will come to this in a later blog entry. At this point suffice it so say that I loved all the wines, but especially the whites. I never thought much of Chenin Blanc before coming to the tropics and tasting tropical wines. The reds grown in new latitude locations need more time to show their true potential, I think. But a glass of cold Chenin Blanc or a Rose from a winery in Thailand is not easy to beat. I loved the PIROM Chenin Blanc best with his passion-fruit aromas, and the fine acidity. The residual sugar is about 5 grams. Of the four reds, each has its strong points. The PIROM Supremacy is out of my price range (2000 Thai bath/bottle), but delicious. The Sawasdee Shiraz is for easy drinking, the PB spicy Shiraz is good with a piece of red meat and the PB Tempranillo I suggest to have with a South American barbecue. I was a lucky draw winner of a bottle of PB Valley wine and took it from the hands of the famous Dr. Piya. After that the buffet was opened, and we all indulged in the delicious food of the Great Hornbill Bistro. The evening continued with discussions about wine, food and everything. To sum it up, this was a great event, well prepared and executed by the very motivated staff of the Bistro and PB Valley. My verdict: try some Thai wine next time you are in a restaurant in Bangkok. Ask for it, even if they don’t have it, make it known that you want to “taste the land”. PS: I also learned why there is so little Thai wine on offer in the many wine bars in Bangkok. Importers of foreign wines give concessions to the wine bars, meaning they only have to pay for the wine after they have sold it. 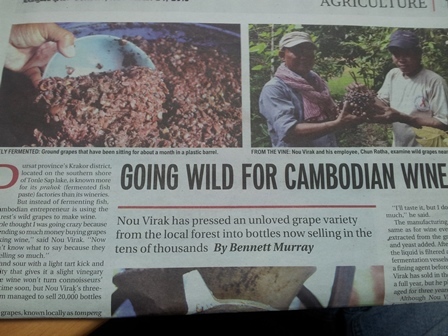 Thai wineries cannot afford this level of generosity. Today I discovered that the little Yellow-vented Bulbul (Pycnonotus goiavier) or Merbah Kapur as we call them in Malay, which had built an elaborate nest in on of the bushes just next to the table on our terrace, and which had laid two eggs some time ago, has had young ones. Our terrace is about 80 sq. meters and we planted a lot of different pot plants. I found the two hungry birds today. Welcome to Bangkok. 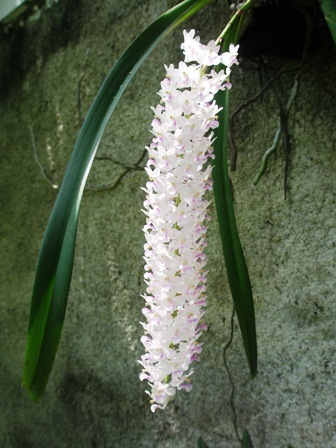 Well, springtime in Germany showed all these wonderful blossoms of fruit and other trees so that I was intrigued to present to you one of my most beloved orchids which grows in my tropical garden in Jakarta. I have to admit that I do not know the name of this wonderful flower. It was given to me by my friend Peter Hagen when he and his family left Indonesia for good some years ago. 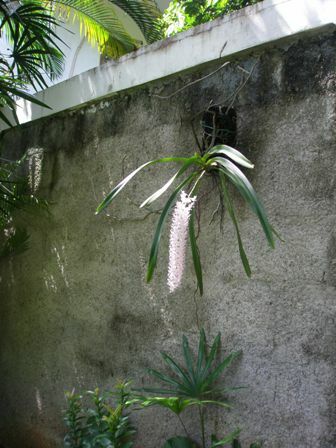 It has flowered only for the second time and is the only orchid of this kind which I possess.